home / Tagged "4WD Tour"
Visit Hatta Heritage Village and the beguiling desert rock formations of Jebel Maleihah (fossil rock) and Camel Rock with a private guide! With transport by 4x4 jeep, the day trip from Dubai takes in some of the United Arab EmiratesÂ’ finest scenery, from desert dunes to craggy mountain passes of Al-Hajar. Learn about life in 16th-century Hatta on a tour of its heritage village, stop for a packed lunch in the desert, and pose for photos by impressive rock formations. The itinerary on this private tour is flexible and can be tailored to your interests. Escape the city and spend a night, like no other, under the stars in the tranquil Dubai Desert Conservation Reserve.Â Surprise someone special, celebrate an occasion or just enjoy a quiet, romantic evening in the heart of the pristine Arabian dunes. Head to the Dubai desert for some dune bashing in a 4x4! Take a ride on a camel, and watch the sunset from the perfect viewing point. Enjoy a BBQ dinner and the entertainment of a belly dancer accompanied by traditional Arabic music. There is possibly no better way to explore the compelling desert landscape than a Red Dune Safari. Blending the exquisiteness of the desert with the exhilaration and joy of off-road adventure, this is a desert trip like no other. Experience the thrill of the desert in a 4WD land cruiser! Leave the city and see the vast desert surround Dubai. Enjoy the adrenaline of sand bashing before heading to the desert camp where your adventure continues with camel riding and sandboarding. 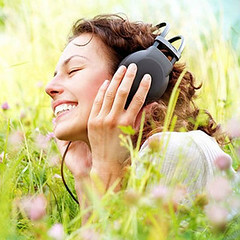 Enjoy a BBQ dinner and evening entertainment before heading back to the city. Get a taste of the Arabian desert on this private 4x4 safari from Dubai. With a private driver, travel through the desert in a comfortable 4x4 to the oasis village of Falaj Al Mualla. 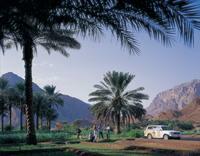 Delve into the Hajar Mountains on route to a hidden Â‘wadiÂ’ Â– Arabic for riverbed Â— and enjoy a picnic lunch at an oasis. Then, stop to see famous Camel Rock and its nearby marine fossils, a throwback to when the desert was covered by ocean. Receive the in-depth attention of your guide on this private tour. Experience four thrilling desert experiences on an exciting 4-hour morning tour from Dubai! After heading into the desert bright and early in a comfortable 4x4 thatÂ’s driven by an expert guide, enjoy a quad bike tour across the rugged terrain, and feel the thrill of sandboarding down the orange dunes. Start your morning with a camel ride and visit a traditional camel farm, to capture snapshots of these humped animals and any cute baby camels in the herd. ItÂ’s four brilliant desert encounters rolled into one!